MERCURY RETROGRADE What to Do and What Not to Do. Rev. 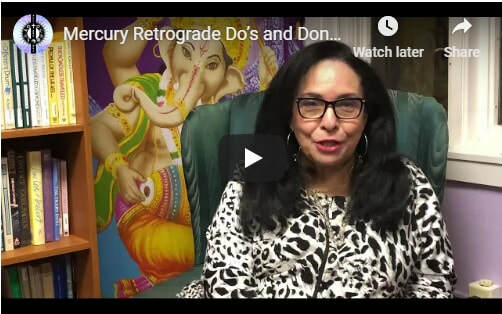 Sharone-Elizabeth James (Baba Sharone) sits down to chat and lets us know the Do's and Don'ts for a successful Mercury in Retrograde! Rev. Sharone-Elizabeth James (Baba Sharone) and some fellow lightworkers at our Divine Chapel of Love on Valentines Day 2019 discuss the importance of loving oneself. ​Watching MSNBC Sunday, Sept 10, 2017 the evening of Hurricane Irma coming to the Suncoast Area, Brian Williams stated "What a Blessing!" Irma had gone east before arriving to the Florida Suncoast area as result became less intense and less damaging. He said that it defied all the computer models and forcast for the area. I would like to suggest it was the focused concentration of Prayer, Intention and the knowledge that we are powerful co-creators that helped to lessen the fury of Hurricane Irma. There were so many that gathered together to pray and many on conference calls using our Master Skill of visualization, intention and energy of the Open Heart of Compassion. That made all the difference. Let us continue to use the loving energy of Compassion in all it forms for those who are suffering from the effects of Irma. After “The Tube” insight, I was witness to an energy that was circling around our planet that impacted both on a macrocosm and a microcosm level. The energy I saw was like seeing shards of glass which were very pointed at the end making them very sharp and giving the impression that when it struck something it would be experienced as sudden, intense and acute. This energy can take the form in a variety of ways; sudden illnesses, accidents or some other surprising event that seemingly has come out of nowhere. The idea is that it is sharp and intense. This is a cosmic dynamic and so beyond our abilities to stop it. So, if we cannot stop this global energetic directly, what do we do? We can meander around these energetic shards by being mindful of our Master Spiritual Tools. Again, first and foremost it is important that we remain in our emotional balance as much as we can. We can help ourselves by remembering to breathe deeply and fully. It will at once help to balance our emotions. Next we do not fall into fear. We affirm that no matter the situation there will be in the end a positive outcome from what seems to be challenging in the moment. We make the decision that WE consciously to choose to take command of the situation in a balanced and centered space. We choose to act rather than to react. Many times this “beating you down” energy will happen exactly when your energy is at its lowest. This is the time you must become spiritually stronger before you make decisions or respond to the situation at hand. We can allow ourselves to say I must get stronger first and more balanced and so I will put the situation on the side if possible for the moment until I am balanced and in my power. Conscious ceremony or ritual is a very powerful tool to bring you back into your spiritual strength and power. So whether it is simply lighting a candle or saying a prayer or reading the Psalms or doing a mantra or anything else that is an outward expression of your consciousness connect to the Divine brings you into balance in order to receive Higher Guidance that will come to you to move through the situation with more ease and grace. Yes, this jagged energy has come to create emotional turmoil and chaos in your life. But you do have a choice about how you respond to it! No matter the situation, it does not have the power to disempower you! You stand in your spiritual strength and remember who you are as a magnificent spiritual being of light and that no matter the situation you are able to navigate through it with greater ease, grace and power. Do not forget you are not alone. We remember to call upon out Family of Light from all streams of consciousness who come to our aid unconditionally with love when we call to them for their help and guidance. By using our Master tools and calling on our Spiritual Family of Light we can ride through any chaotic energy. And as we do we so we lessen it’s strength and we help hold the balance for the rest of the earth. Finally, do not allow yourselves to fall into fear! That is the one thing that we as Lightworkers must work to overcome. It has been great manipulator of the human species from time immortal by those who would keep us in “The Tube” of the emotional turmoil and separation. Use your master tools as you navigate through the jagged energy dear ones. And remember you, are not alone. Call on your Family of Light and remember who you are! ​Well doing this blog has been something I've been wanting to do for a very long time. Over three years ago the Ascended Masters said use the Tools of Aquarius and so finally here I am at this divinely appointed time to start and at a very timely point in our evolution. I'm here to share insights that I receive from the Celestial Realms of Light in an altered state. I'm going to call these Theta insights. I'll start off with The Tube. It was a vision shown to me about eight weeks ago from this date. I was shown a translucent tube like structure that was horizontal and the sense and feeling of this was that there was this energy moving back-and-forth from one end of the structure to the other causing a lot of chaotic emotionally charged energy. The idea was that this energy ideally would meet in the center, thereby being balanced and move upwards in a vertical direction. But, it was not able to do so because it was locked and encapsulated in this energetic tube-like structure with the energy just moving back-and-forth from one end of this tube to the other end. I got the distinct impression that the energy was to move upward vertically. What was impressed was the fact that there are those "Powers That Be" who manipulate the human species of this planet through the manipulation of the human emotional body, specifically through the most ancient part of the human brain known as the reptilian brain and further deeper than that is the seed thought structure of self-preservation. The seed thought structure of self-preservation is of course important and served a very important purpose as that the human species needed to survive in its earliest development. However as a species we have evolved way beyond that, but this seed thought structure embedded in the deepest part of our brains is being manipulated through the emotional body by those who do not want us to move in a vertical direction but instead keep us in this horizontal back-and-forth emotional prison. I have come to find out that there is a picture presented in the keys of Enoch by JJ Hurtak that depicts this Higher Guidance I received. It shows a picture of a horizontal snake which represents the translucent horizontal tube I saw and a chalice which was the vertical energetic that I sensed. Above the chalice is the symbol of the dove representing the holy spirit or the Higher Celestial Planes of Light. This ancient drawing is called The Struggle between the Serpent and the Dove for the Ascension of the Species. I need not tell you how this dynamic is working out in our present climate of political and human affairs. But the fact is that this has been used to keep humans distracted from becoming aware of their true nature as Magnificent Beings of Light with endless possibilities to create harmony and joy in this creation!!! Dear Lightworkers do not fall into this trap! We are a people within the people. We are the Starseeds, the Lightworkers who are here to keep the balance and not contribute to the emotional turmoil of duality thinking! We are here to maintain OUR balance and Anchor the Light! That is our job! We can not contribute to the emotional chaos being manipulated by those who have their self willed agenda. Those who are awake are In the world but not of it and we have to hold the balance within ourselves first in order to help others. Of course we are entitled to our opinions and if we come from emotional balance our highest integrity to answer a call to advocate for something important, absolutely we do what we are here to do. We take our positions as Lightworkers and do what we are guided to do. But we do so in a balanced and purposeful way. Not engaging in the collective unconscious emotional turmoil of the Unawakened. Others will learn from our example and we will contribute towards emotional balance to the collective unconscious, helping to bring forth balance for our precious earth along with our Higher Celestial Realm Family of Light who work with us! The Cosmic Center Blog is coming soon! In our blog you will be able to read about the latest in the spiritual realm from all of our reverends, healers and teachers. The Cosmic Center of Spiritual Light is a place of Knowledge, Wisdom, Healing and Comfort. We Create a Spiritual Environment of Spiritually-Minded People, Seekers and all Awakening Beings in recognition that All Are One.